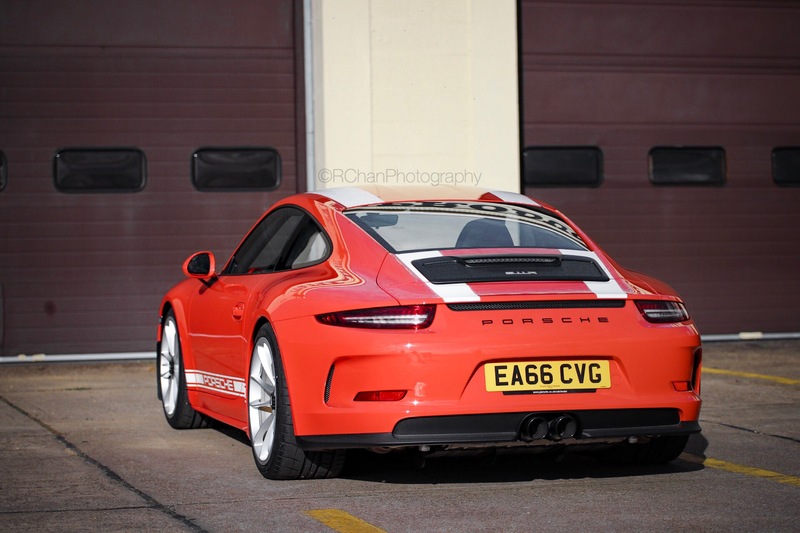 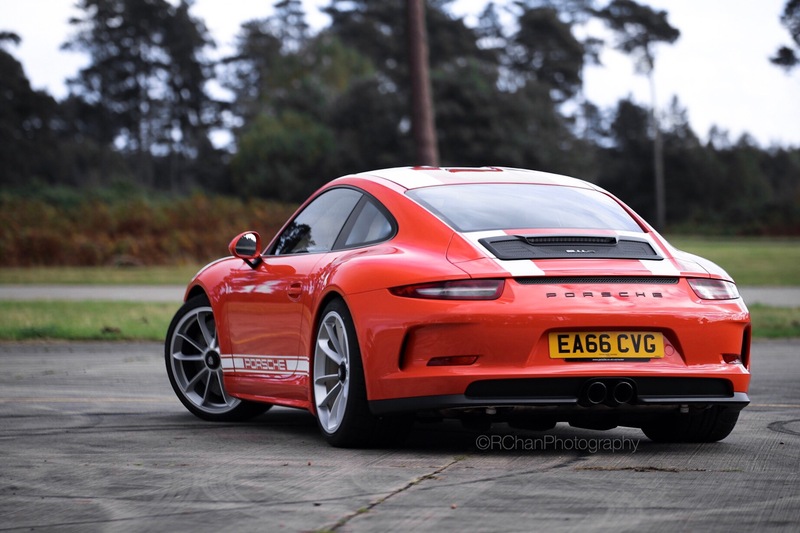 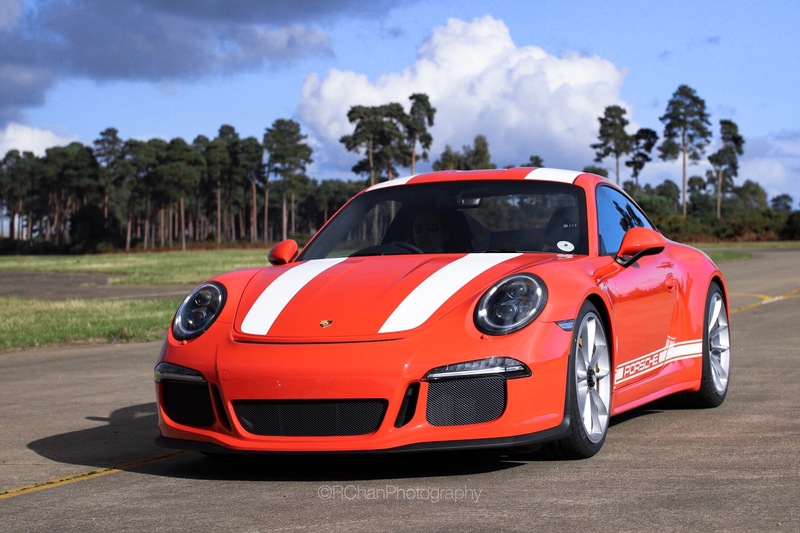 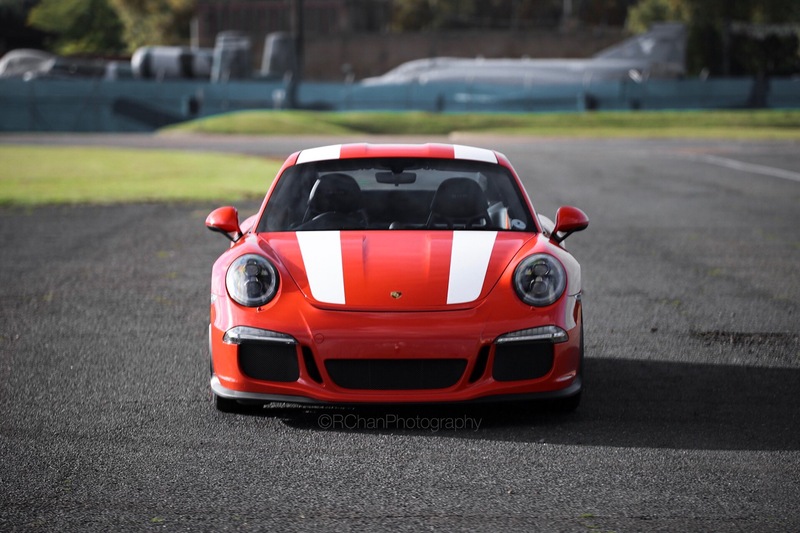 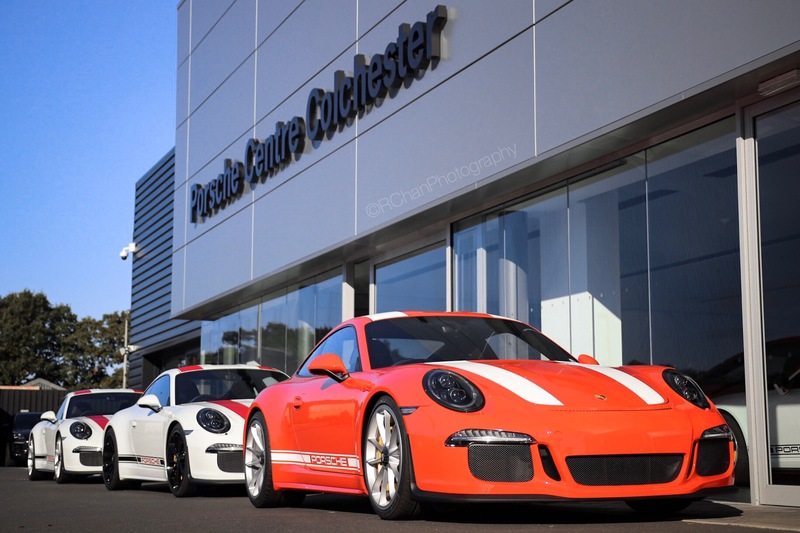 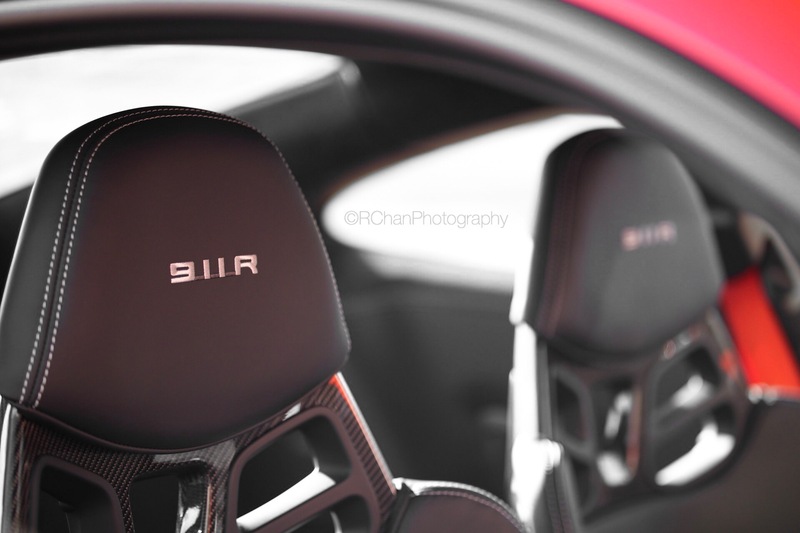 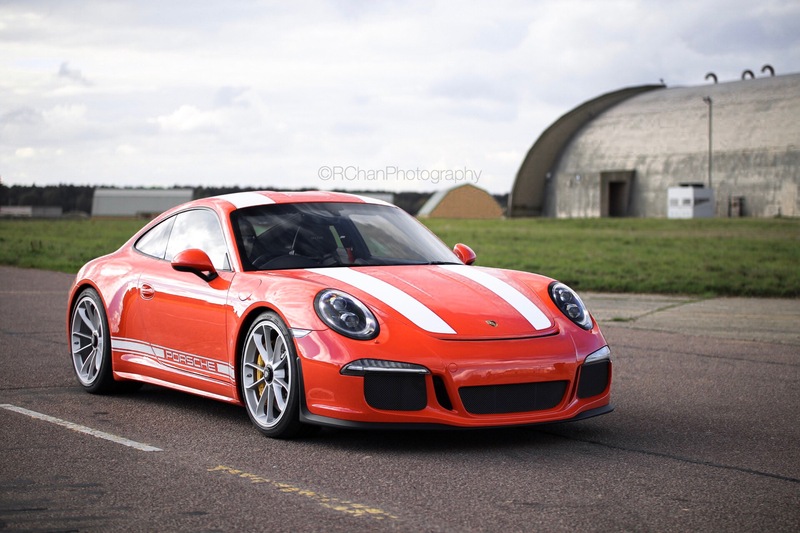 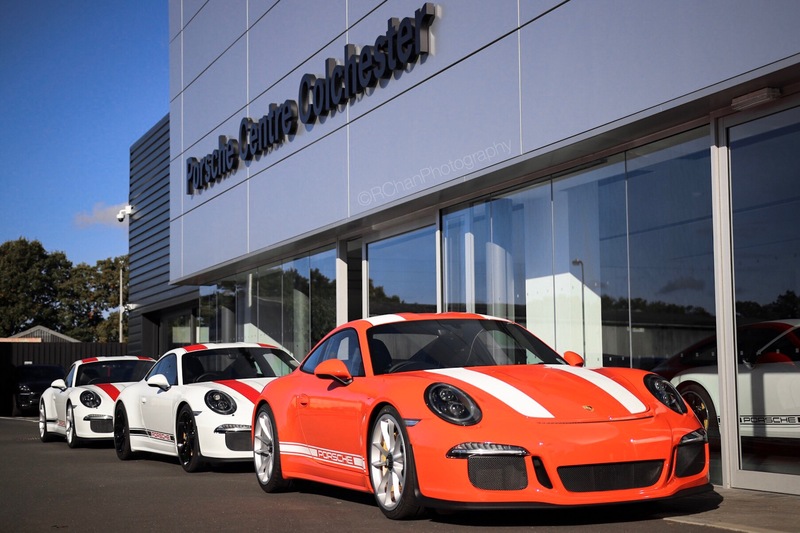 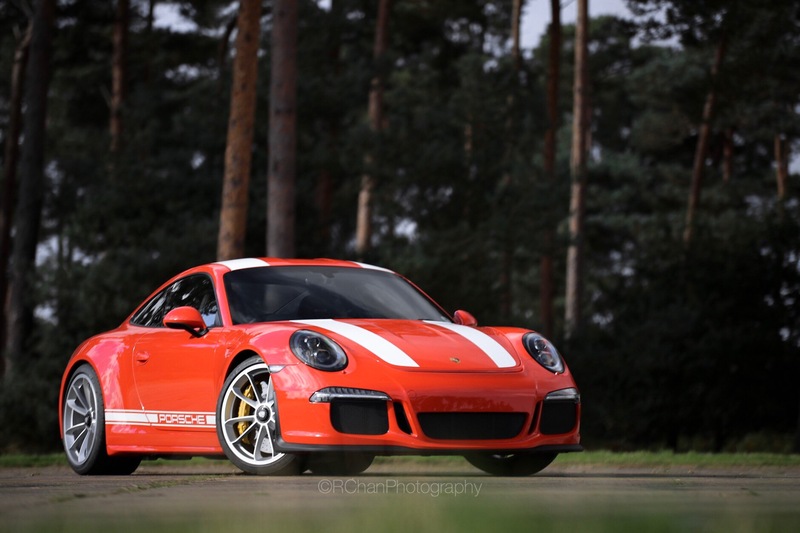 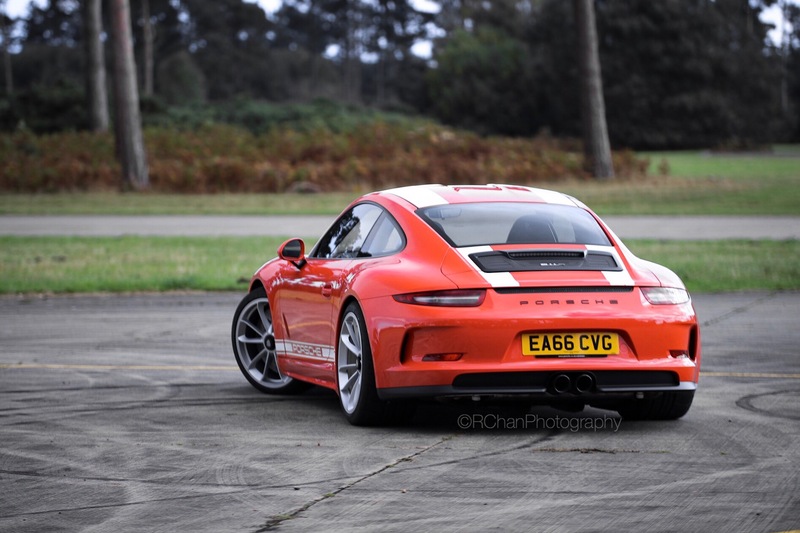 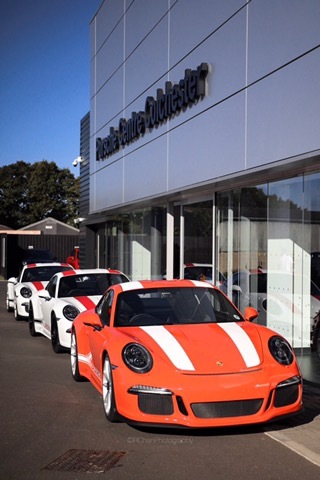 So earlier this year I saw that Porsche Centre Colchester was getting a few 991 911R allocations one of which I was told would be very unique. 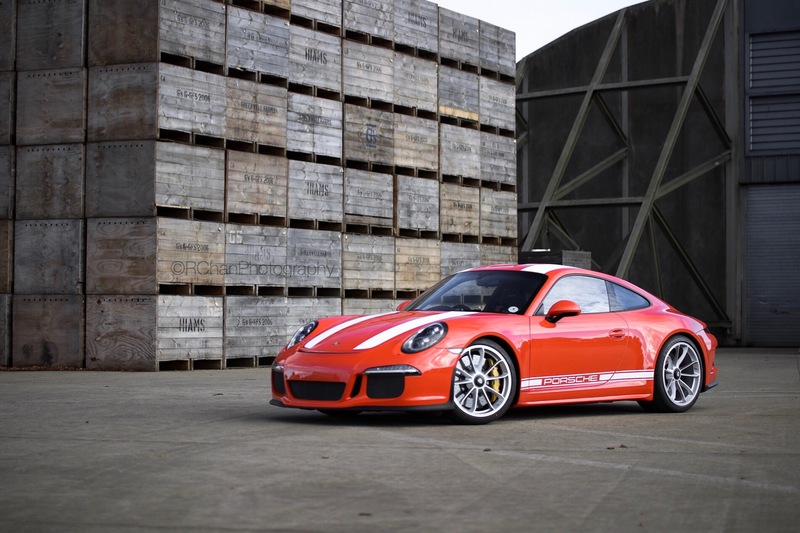 This car would pay homage to the Orange 1967 911R prototype R3 which also wore orange paint and signature white Porsche stripe. 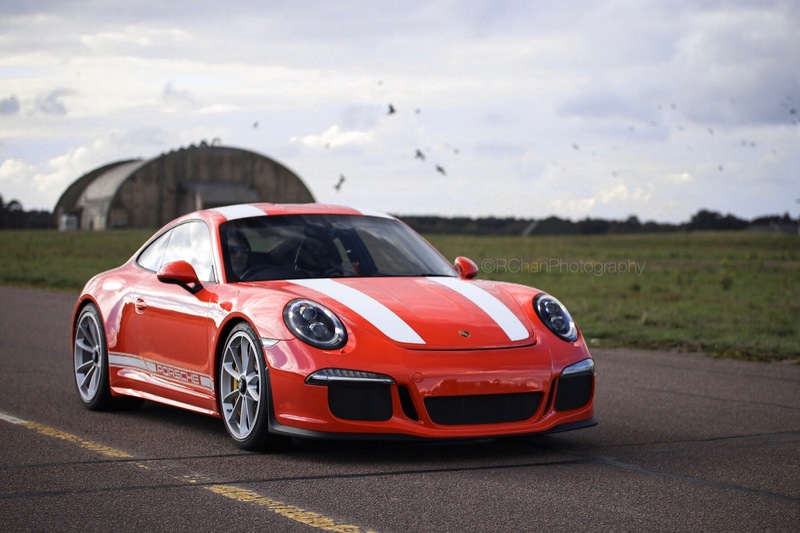 When the 911R was first announced, it fascinated me. 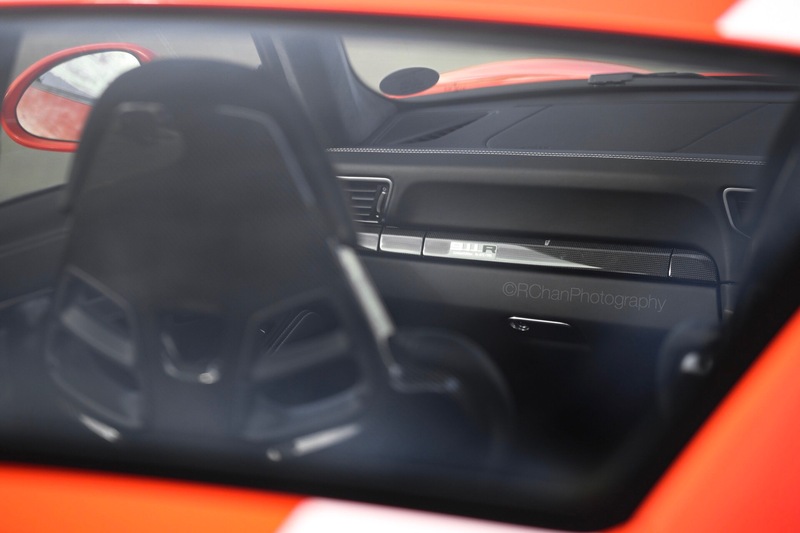 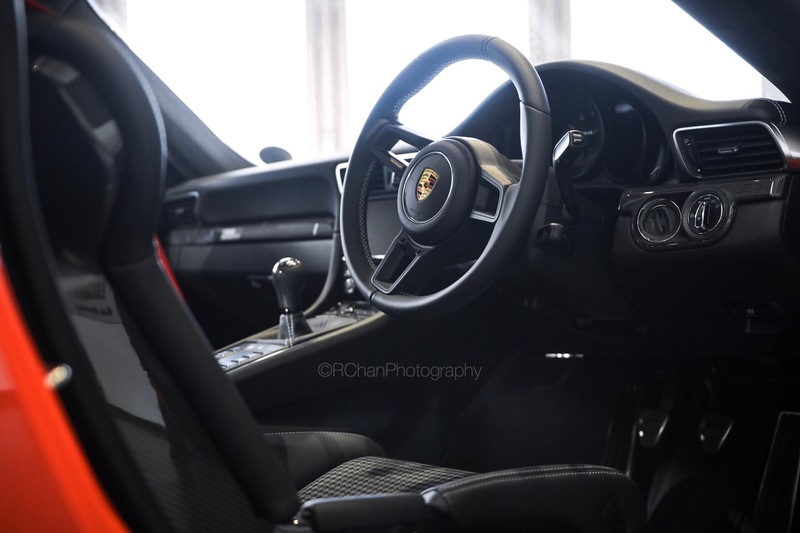 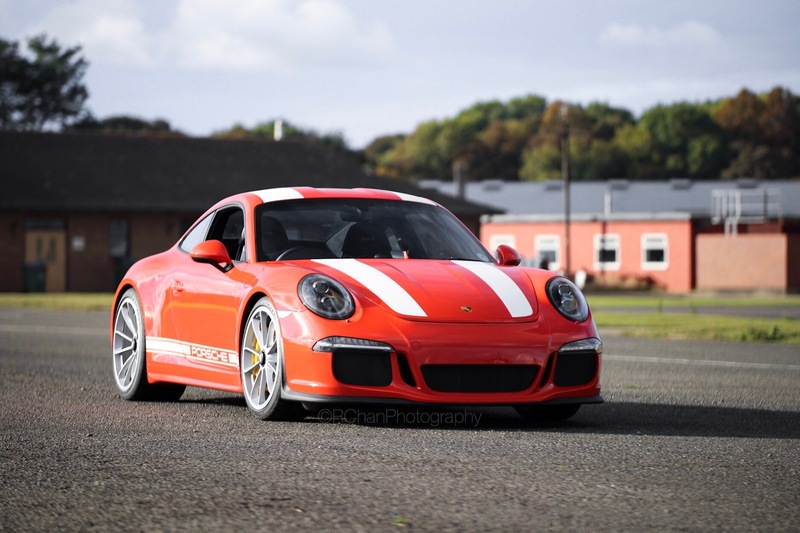 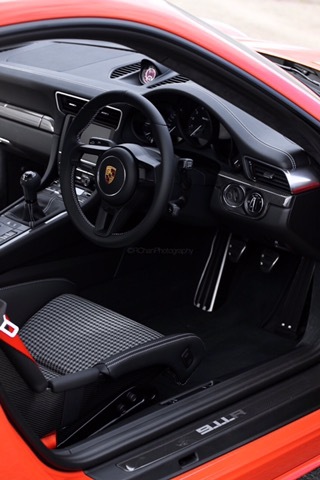 The combination of the signature naturally aspirated flat 6 engine with a 6 speed manual transmission had proven to be a great success before with the Cayman GT4. 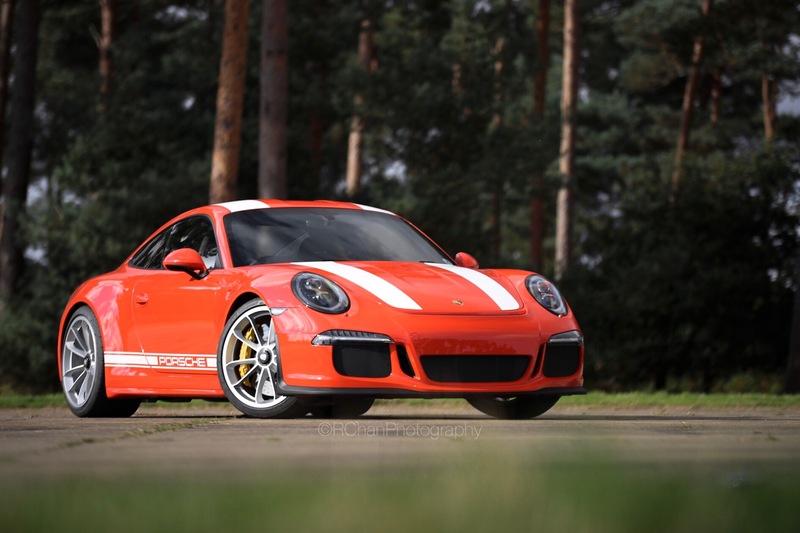 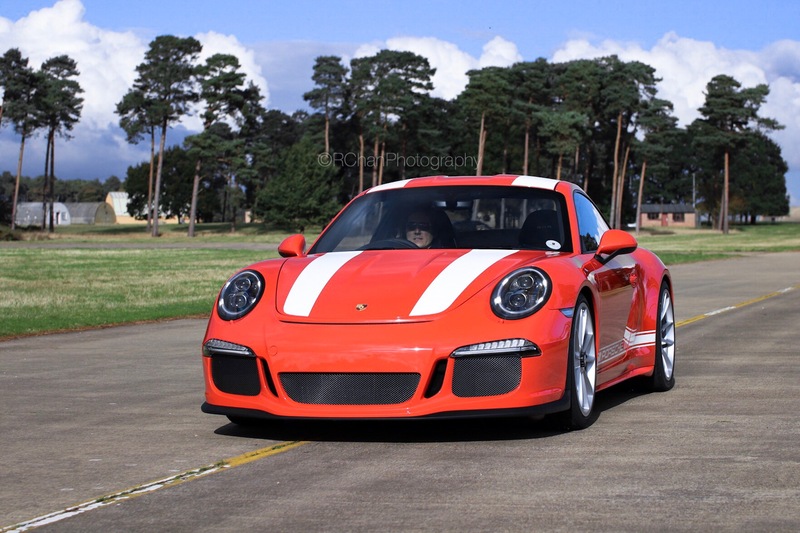 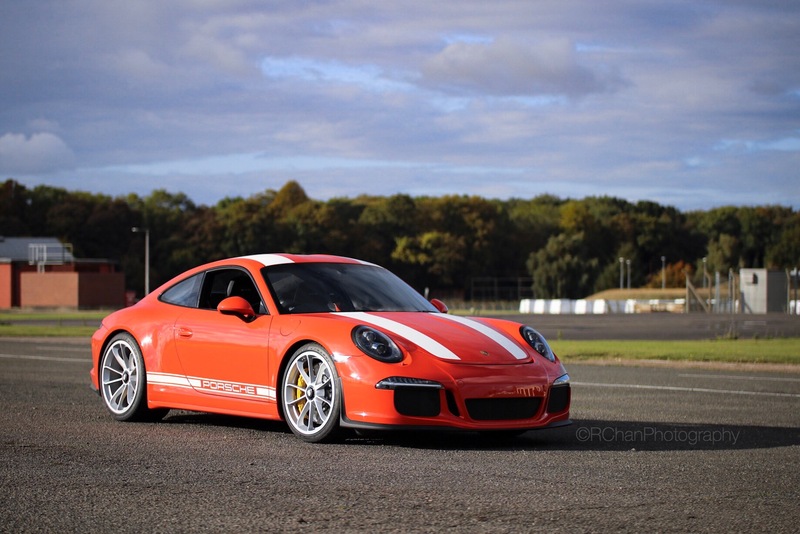 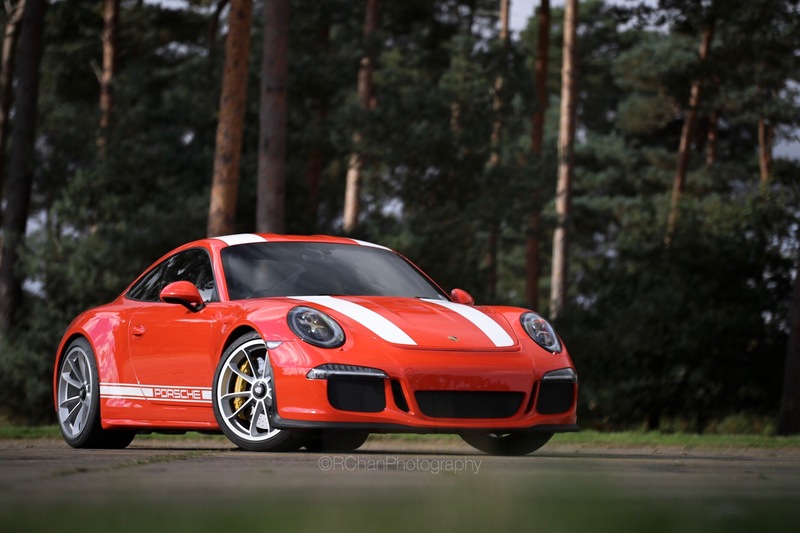 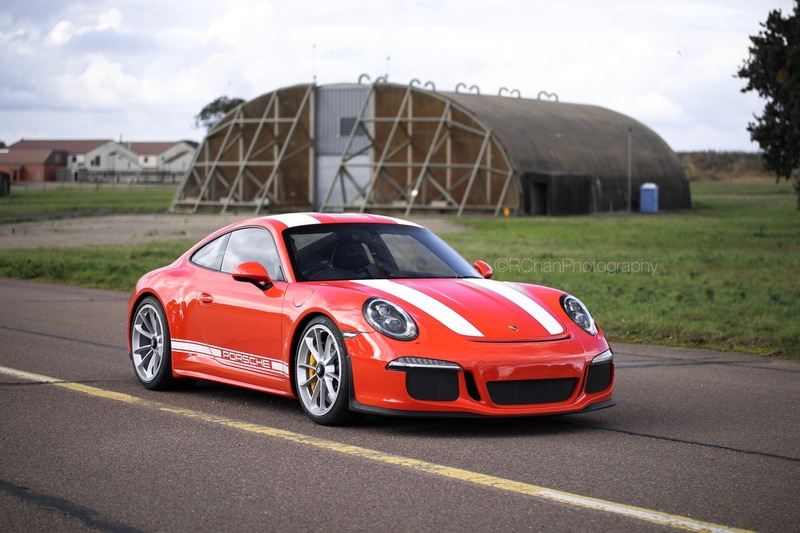 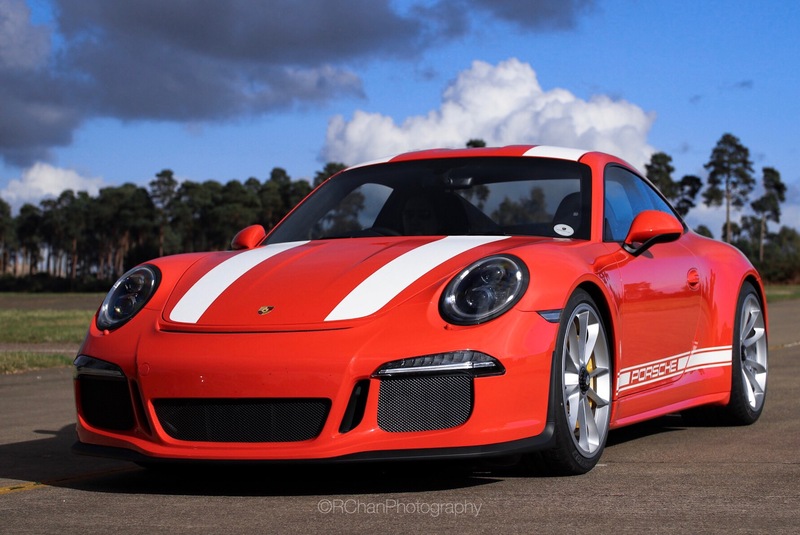 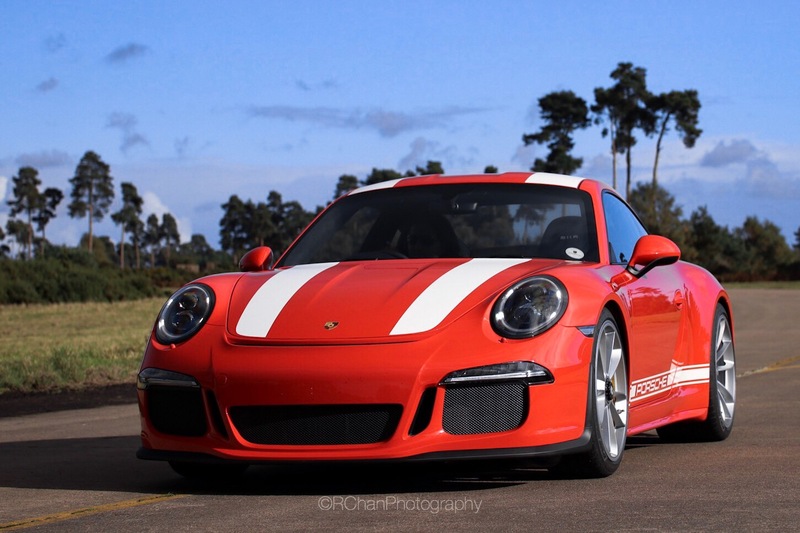 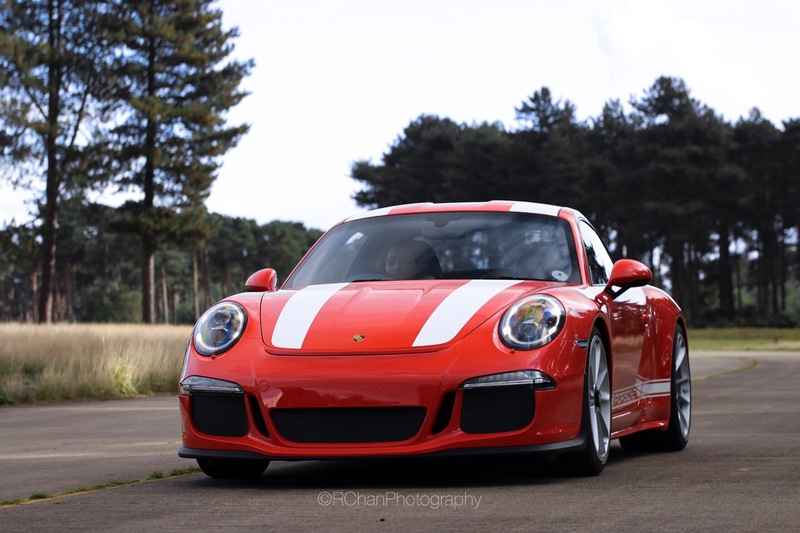 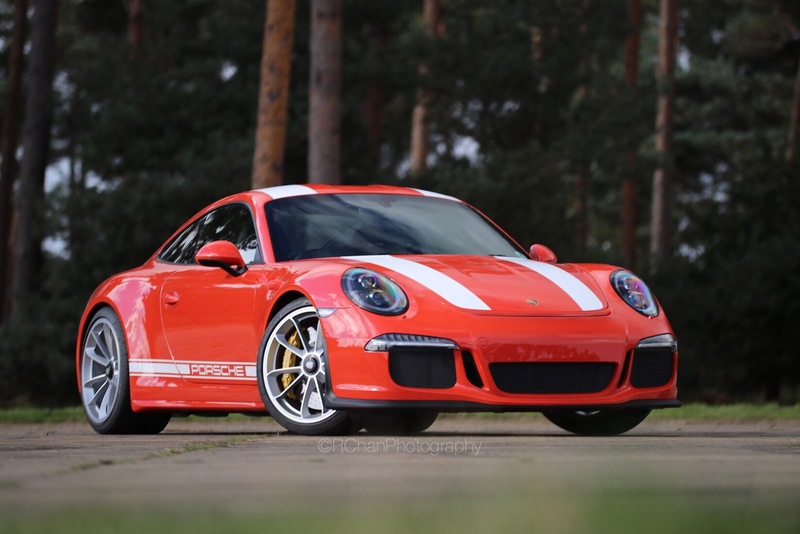 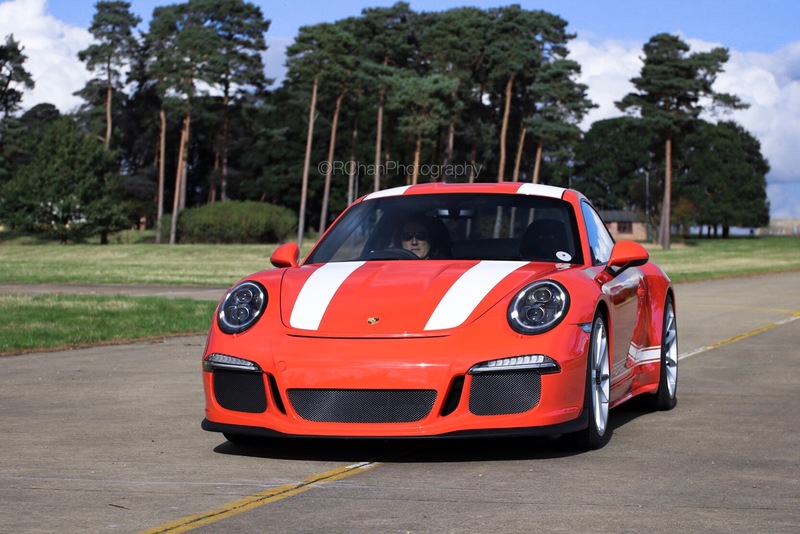 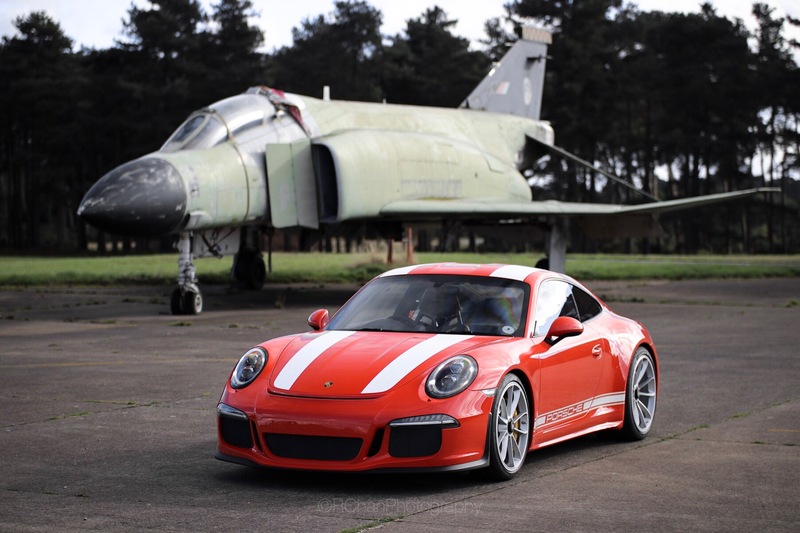 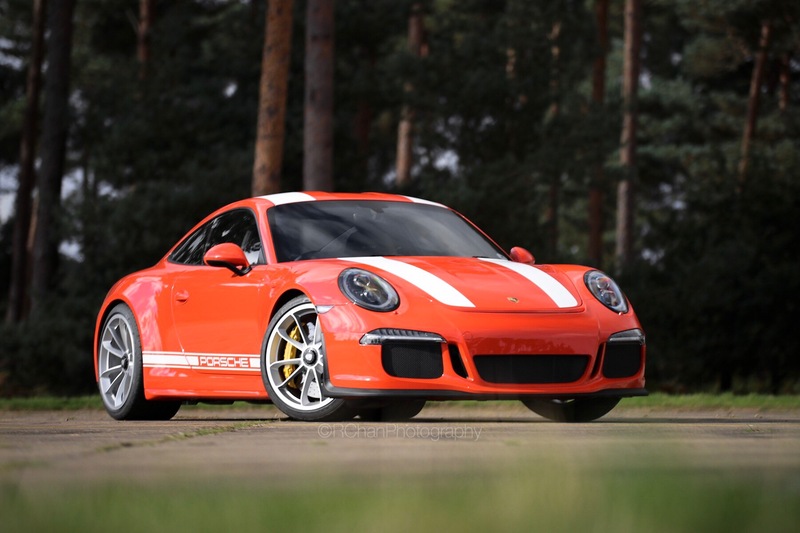 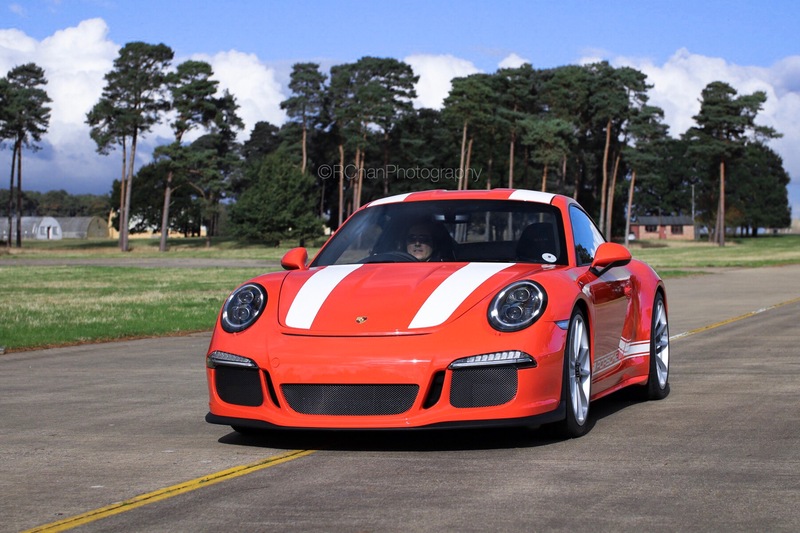 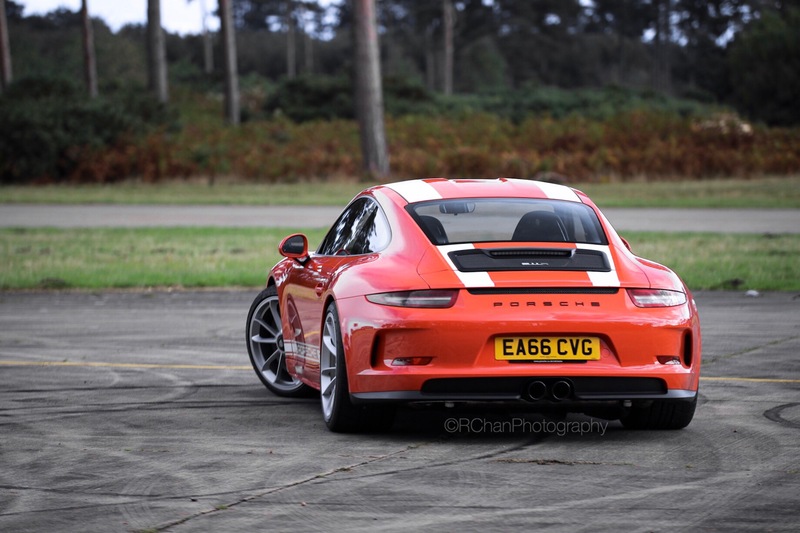 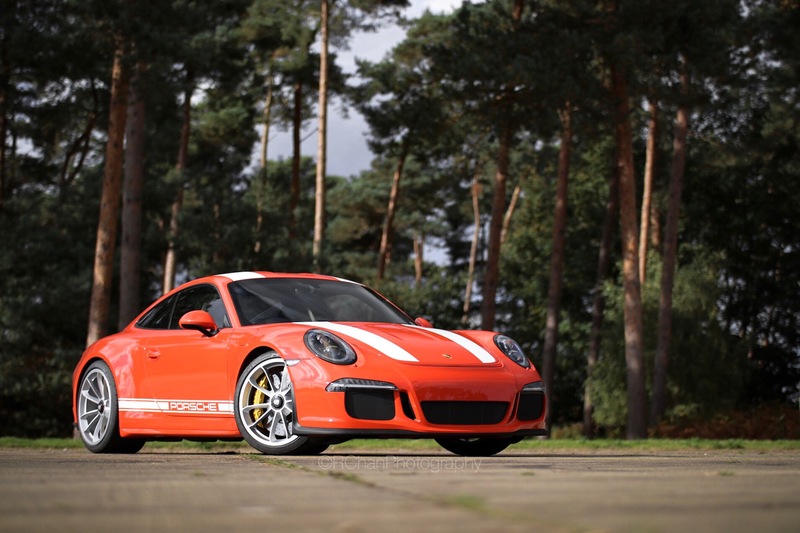 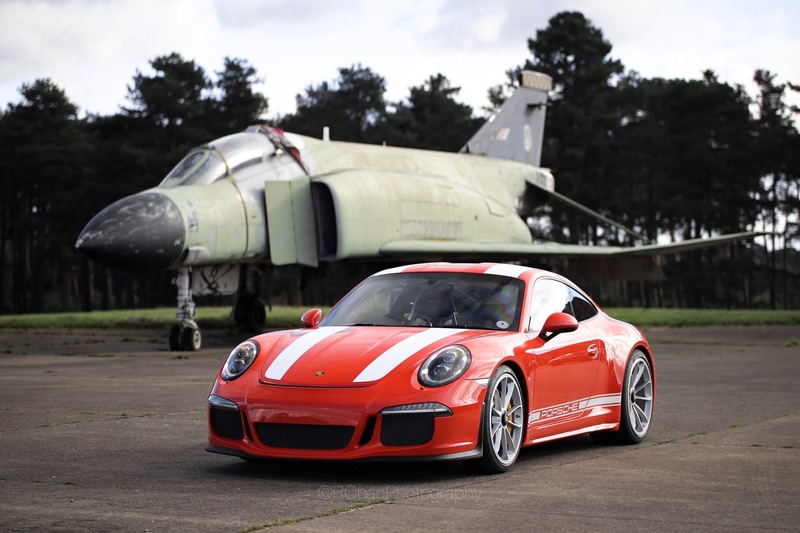 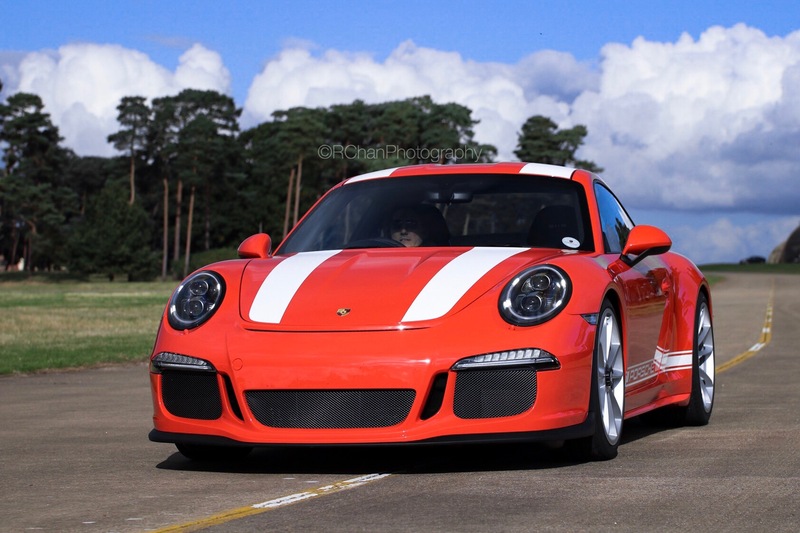 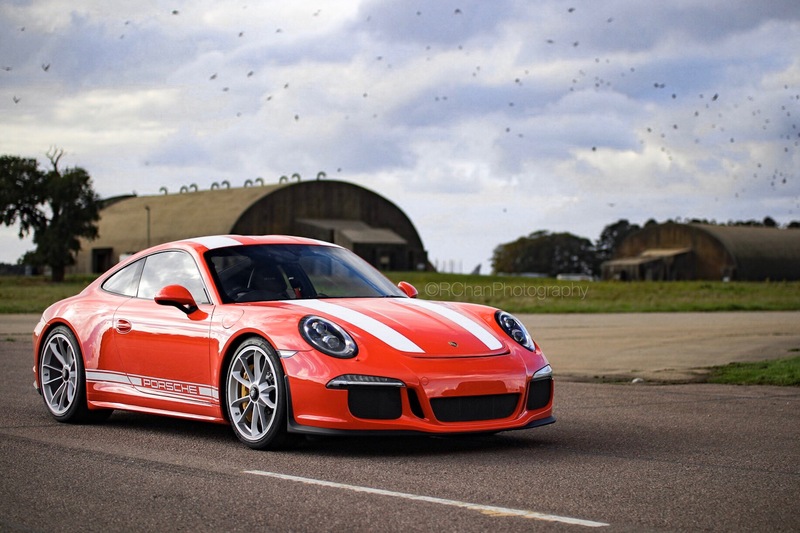 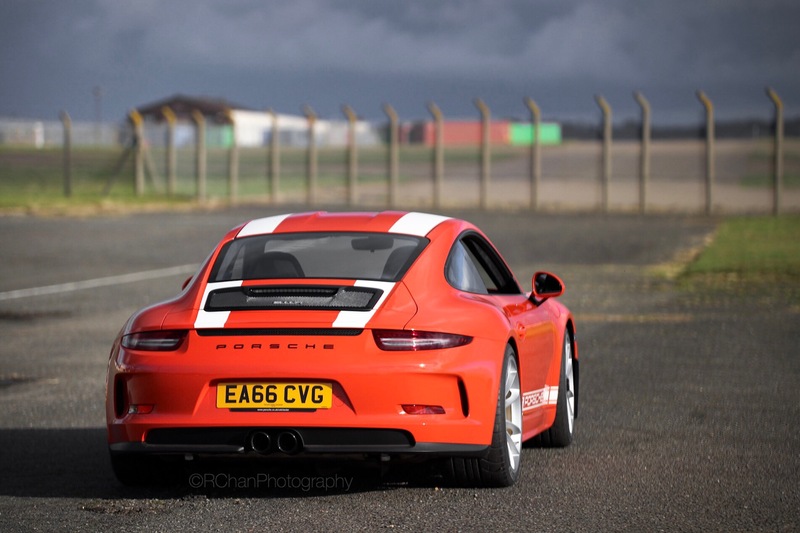 So I was intrigued to see what the 911R would bring to Porsche’s ever growing fleet of astonishing drivers cars. 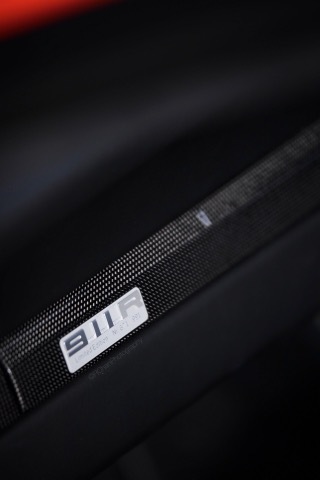 Is this the ultimate modern-day 911? 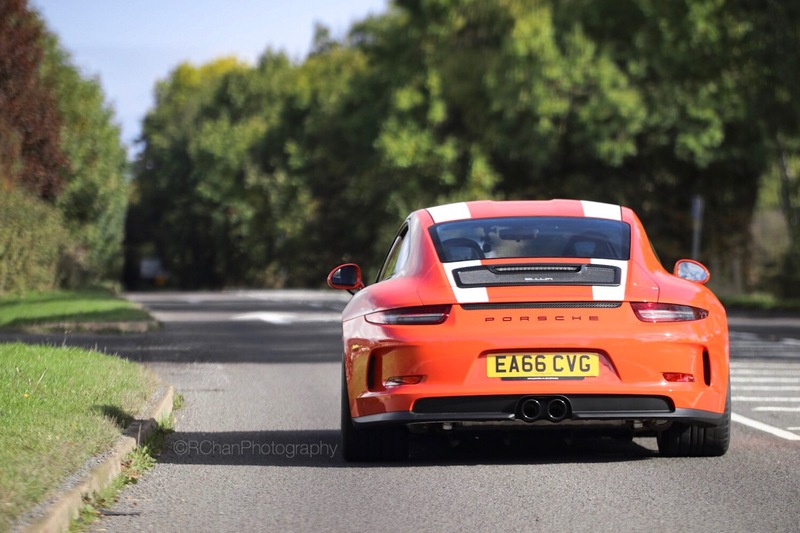 That would be a matter of opinion I suppose but after speaking to a few owners and watching reviews I don’t see any complaints about the car. 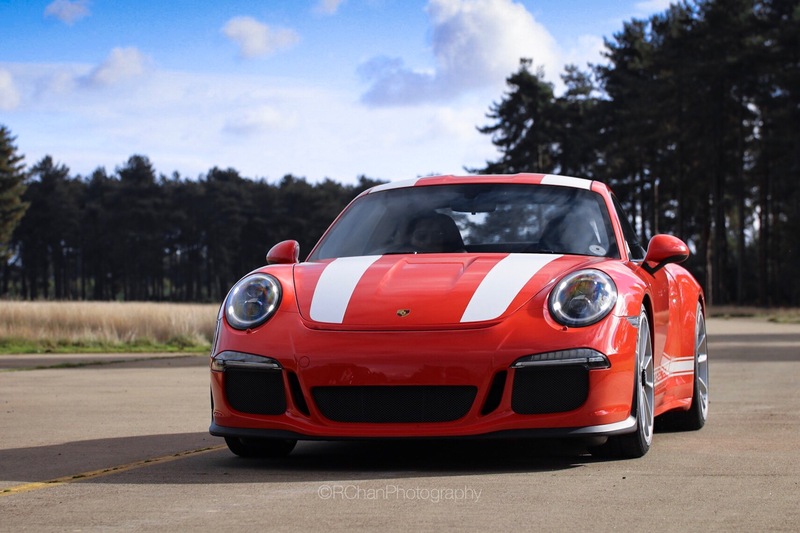 Congratulations Mr @CarCrazedFool! 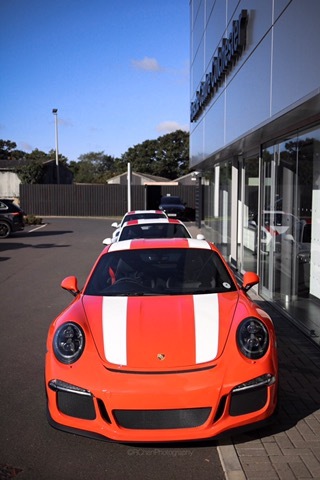 Thank you for letting me be present on your collection day. 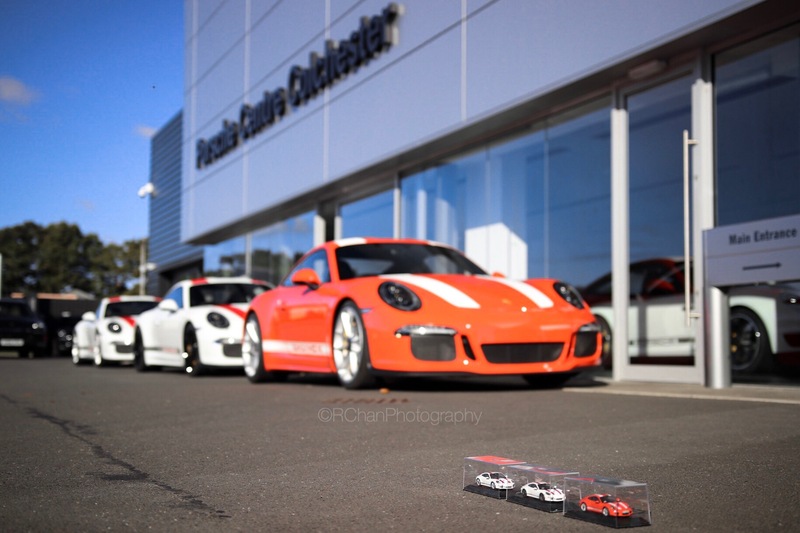 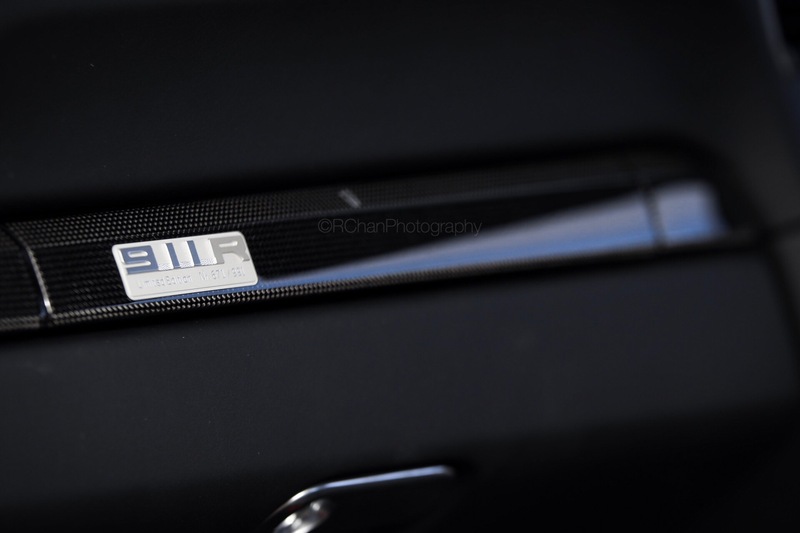 Thanks to Porsche Centre Colchester for the brilliant hospitality as always and big thanks to Mr @Rob__Fenn on Instagram for letting me hang out the back of your RS6 to get this rather static rolling shots haha.